December 28th 2019. - January 25th 2020. With our third edition of the Sri Lanka Intensive teacher training, we have decided to explore deeper and add our Chakra Flow module which is a part of our 300-hour advanced training and create a 300-hour programme. 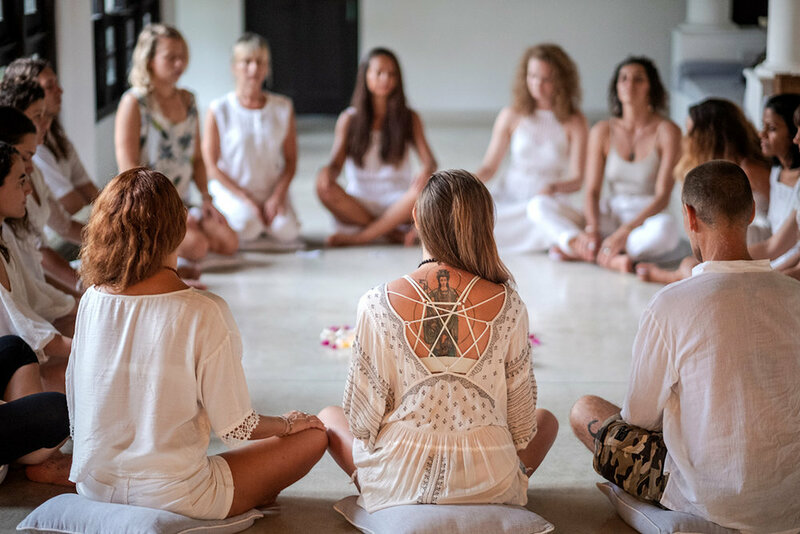 Our intention is to give you the tools you need to be more confident in your teaching as well as deepen your knowledge of different yogic practices in order to prepare you to embark upon teaching masterclasses and workshops as well as to support your own unfolding and personal transformation. This 300-hour programme is designed with you in mind. We know time is precious and taking almost a month away from family and work is a luxury for most. This is why our 300-hour Yoga Alliance verified programme is divided into different modules, first one being an online part of the training which you can do in your own pace and time, within the two months before the training. Online training will cover some long lectures and basics which we will later explore together. Second part of the training is our first week in Sri Lanka where we meet for “Closer to LOVE” yoga retreat and to celebrate New Year together. This week is designed as a lighter week - you will need to attend morning practice and will have a few assignments and lectures in the afternoon, but it will mostly be about your personal practice and enough free time to acclimatise, explore and enjoy. Next three weeks we will dive deep into the teacher training and study of anatomy, biomechanics, fundamental teachings of Integral Vinyasa yoga, sequencing, assisting, subtle anatomy, Ayurveda, Elemental Vinyasa and Chakra Vinyasa. You are eligible for this programme if you have successfully finished your 200-hour programme with any Yoga Alliance certified school. After completing the programme you will be able to apply for RYT 500. If you have already finished our 200-hour programme, you can join us in the last week of the training for Chakra Vinyasa. Core teachings of Spanda Vinyasa yoga school are rooted in Integral Vinyasa method which stems from Hatha yoga teachings, classical yoga philosophy, Tantric teachings, Ayurveda's understanding of nature and the five elements, as well as today’s understanding of anatomy and movement biomechanics. The method follows the traditional teaching of Vinyasa Krama, a system of progressions chosen to serve the gentle unfolding and integration of our body/mind, and expands from there. Learn teaching tools like proper alignment, creative yet intelligent method of sequencing, hands-on adjustments and assists, modifications and adaptations, pranayama, mantra, mudra, yoga nidra and learn how to use those tools to create safe, meaningful, mindful yoga practice. Our goal is to create a safe and open environment, offer clear instruction and help you every step of the way. If you are joining us for the full 300-hour immersion, you already know that teacher training, and especially intensives, are - intense. Body, mind and heart. But, we will be there with you every step of the way to hold space and to give you space to rest when you need to, ask questions, question us, share what's on your mind and heart. First week in Sri Lanka we will all take time to arrive, settle, prepare, and celebrate New Year's in style. Our training begins with "Closer to Love" yoga retreat. First two weeks you will be joining our 200-hour group and learn about the fundamentals of Integral Vinyasa Yoga method and Elemental Vinyasa sequencing. Each TTC is different and, even though you will hear some things you already know, you will learn a whole lot more, primarily a new method of sequencing and teaching. Next two weeks we dive deeper into the subtle anatomy with our Chakra Vinyasa module and about the intricate connection between our body/mind/heart. You will also lean how to teach, sequence and adjust advanced asana. At the end of the training, our goal is to teach you how to sequence your own classes, masterclasses and workshops with confidence based on knowledge and understanding of both the physical and subtle as well as the natural flow of mama Nature. Your online training journey will be supported with all the materials and with faculty members every step of the way. This module is dedicated to setting solid foundations and acquiring substantial knowledge on which we can build upon, like anatomy, physiology and biomechanics, or how to apply anatomy and biomechanics in yoga. We dive deep into learning about asana alignment and individual adaptation, how to avoid and work with common yoga injuries. 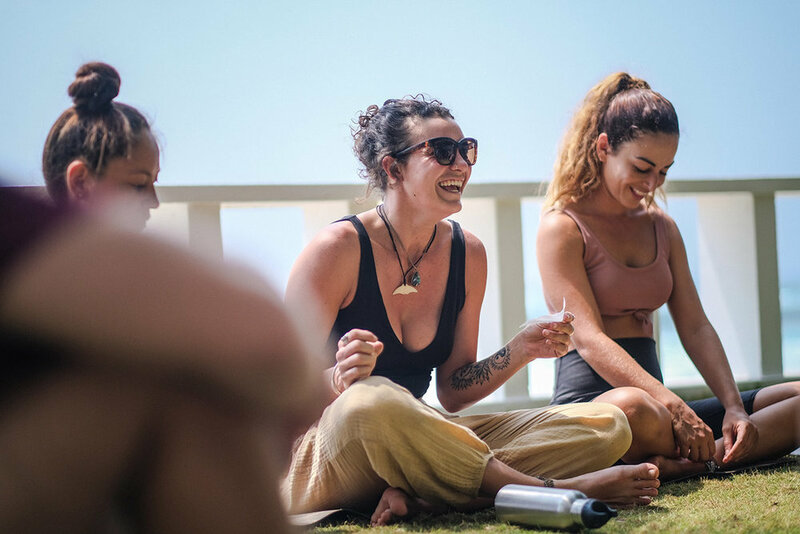 We learn about safe adjustments, and unravel the method of Integral Vinyasa - from the principles and foundations to the sequencing of themed classes as well as beginners classes and dive into teaching methodology and take our first teaching steps. In this module, we move from the physical in order to explore the deeper, more advanced level of yogic practice, teaching and sequencing. We will slowly start to move deeper into the subtle as well explore yoga through the teachings of Ayurveda, yoga's sister science. Apart from learning different Namaskars and Elemental sequences, we will learn how and when to use them taking into consideration the laws of Nature - from the time of the day to the moon phase, season, personal constitution, cycle etc. In this way, we focus on promoting balance and healing on and off the mat. In this part we cover more teaching methodology, teaching practice and ethics and business of teaching yoga. With Chakra flow, we dive deeper into the subtle, but with the intention of demystifying chakra system as something esoteric, and rather use them as a map to understanding different qualities of ourselves and our students observing how these qualities resonate and behave in our body/mind. In this module Nina brings into the teaching much of somatic psychology. On a more practical level, this is a module where you will learn how to prep and sequence more advanced asanas as well as other advanced yogic techniques like pranayama and different meditation techniques. 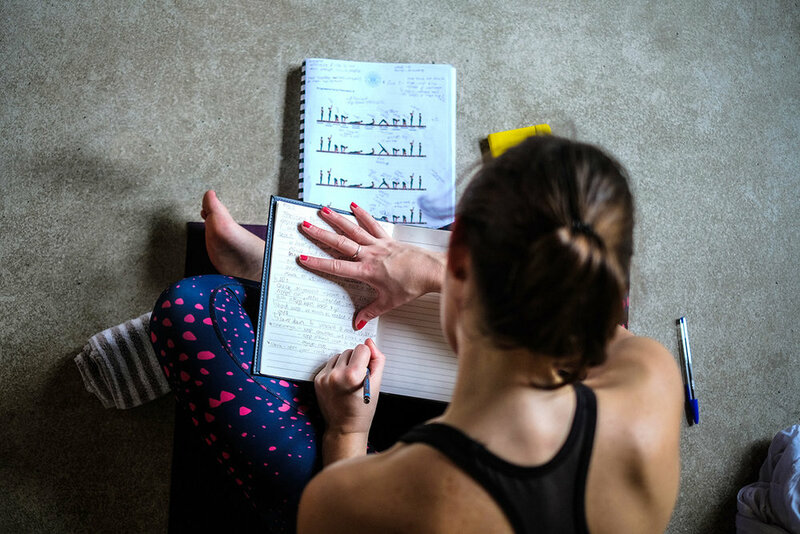 As this is a part of a 300-hour teacher training, you will learn how to, with an in-depth understanding of the body, mind and the subtle energies, sequence a masterclass or a themed workshop around an advanced asana, pranayama, mantra singing, meditation or all of the above. This year we’re going back to the Sri Lankan jungle and have chosen for you a beautiful spacious villa in Ahangama. The villa is only a 10-minute walk from Kabalana beach but tucked away enough to allow for peace and quiet. Ahangama is located about a three hour car ride from the airport or with a train from Colombo Fort station. We will send you more info about the location before the training. Accommodation is based on two or three sharing. Sorry, no single rooms available in the villa. Please email us for possible arrangement of single accommodation in near by hotel. 700 euro non-refundable deposit is required to reserve your spot. If you are only attending Chakra Vinyasa, non-refundable deposit is 200 euro. * Early bird full tuition is due before September 1st 2019. ** Late bird full tuition is due before November 30th.